Founded in 1926, Slim Line Case Company has been a trusted family-owned company for over 3 generations. Slim Line Case Company, originally Samson Brothers, was founded by George Payton Samson in Rochester, NY in 1926. George took his hobby and passion for creating leather goods into a successful profession. His custom crafted wallets and key cases, including the first patented zip around key case, were sold in department stores nationwide. He spent the next 30 years expanding his products and growing new territories. Today Slim Line Case Company is proud to be a 90-year-old family owned and operated business that is run by George Payton Samson’s granddaughter, Andrea (Andy) Thomas Coulter. With the help of her loving parents, Bette Samson Thomas and George Terry Thomas, Slim Line Case Company specializes in leather products for federal, state and local agencies. A few of our loyal federal and state agencies we are happy to service include US Army, Department of Defense, Defense Intelligence Agency, Department of Corrections, Bureau of Prisons and New York State Police. 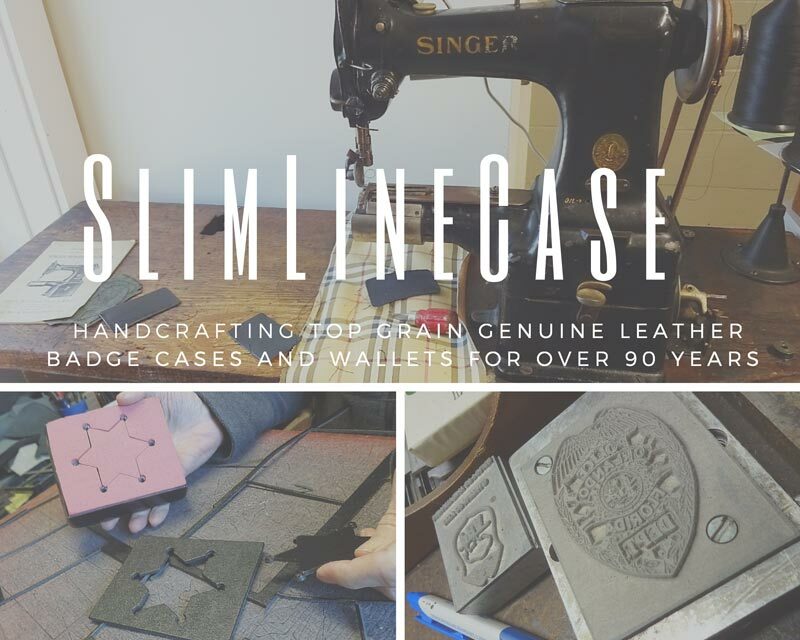 As a small business with a rich history in quality craftsmanship, Slim Line Case Company highly values entrepreneurship and holds itself to the highest standards. We pride ourselves with supporting our local vendors by buying from US suppliers that support businesses like ourselves. We also appreciate the sacrifices our law enforcement officials make every day in the line of duty. 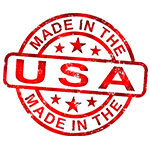 Thus, the importance of artfully crafting our products to serve and protect each badge that symbolizes their binding commitment to serve. These are the values we commit towards the quality of each of our products so that they are dependable and durable. It is our honor to help each of our customers as if they were family…That’s the Slim Line Difference! George Payton Samson began Samson Brothers, Inc. based out of his garage on Paige Street in Rochester, NY. The company began to grow large enough that George needed more space. He rented a space on Brown Street, and then later moved to the Art Craft Optical Building on Plymouth Avenue. The quickly-expanding business moved to 36 St. Paul Street where it stayed for over 70 years! Bette Samson Thomas (George Samson’s daughter) & husband George Terry Thomas take over the company. They are approached by Mike Wolfe, president of NAPED, to develop a recessed ‘book style’ badge & ID case for law officials and begin filling orders nationwide. Bette and Terry purchase Slim Line and officially name the company Slim Line Case Co.
We put 100% into every product we make, so that you get the most quality products available. Our high-quality leather cases and wallets are perfect for filling a variety of needs.